President Tsai Ing-wen said March 18 that the work of Taiwan medical missions in providing services in diplomatic allies and partner nations around the world spotlights the country’s commitment to strengthening global health care development. The dedicated teams of volunteer doctors, nurses and technicians have delivered vital care to those in need and raised awareness of the country’s leading-edge medical expertise, Tsai said. Their efforts have also helped build international support for the nation’s “Health for All—Taiwan Can Help” campaign to gain meaningful participation in the World Health Assembly, the decision-making body of the World Health Organization, she added. 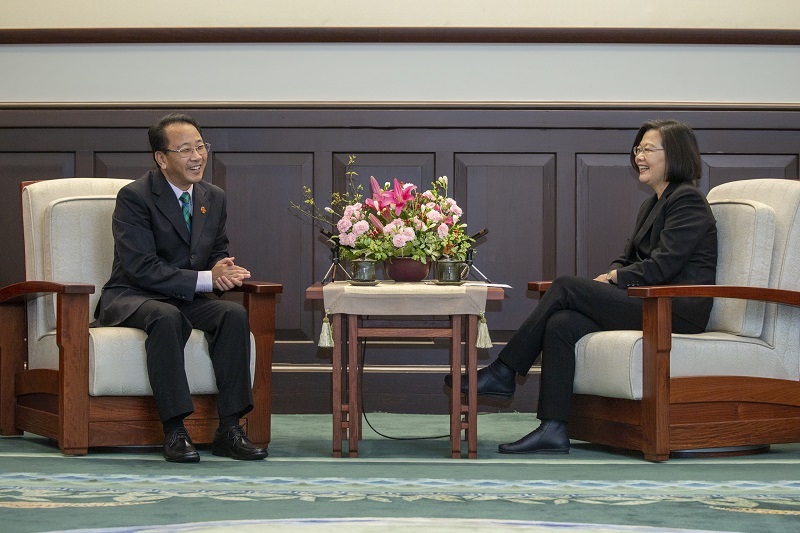 Tsai made the remarks while receiving members of a medical mission from Taipei City-headquartered Mackay Memorial Hospital at the Presidential Office. Led by MMH Chairman Hu Chih-chiang, the team is scheduled to depart on a weeklong mission to Pacific ally Kiribati March 23. In addition to offering care, the delegation will ink a memorandum of understanding on clinical training with Kiribati’s Ministry of Health and Medical Services and organize a support group for patients with heart disease, according to the MMH International Medical Service Center. Tsai expressed gratitude to MMH for its participation in a Ministry of Health and Welfare initiative launched in 2014 to bolster medical care in allies Kiribati, Marshall Islands, Nauru, Palau, Solomon Islands and Tuvalu. This program has further consolidated the robust partnership and warm people-to-people ties with these countries, she said. Taiwan medical missions such as those organized by MMH play an important role in increasing the nation’s soft power, Tsai said. They also clearly demonstrate that Taiwan can help achieve the WHO’s goal of universal health care, she added.